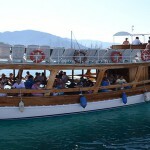 When you are in Marmaris there are a lot of things to do and see. 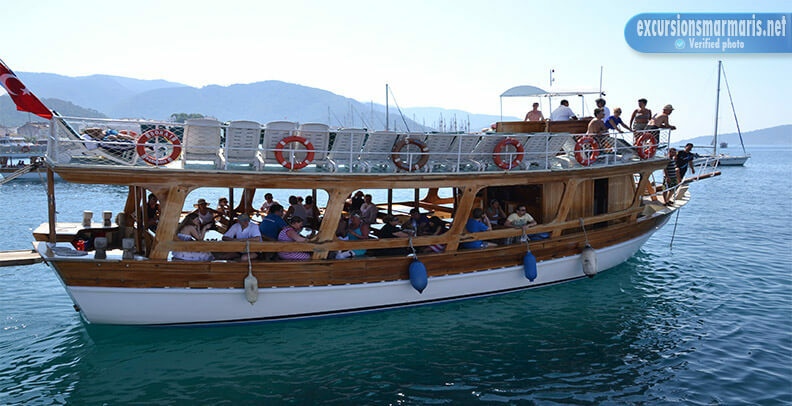 And if you are tired of hustle and bustle of this busy resort, one of the best solutions for you is our Marmaris Boat Trip. It is a voyage that lasts just one day. But during this day you will get a spectrum of positive emotions. 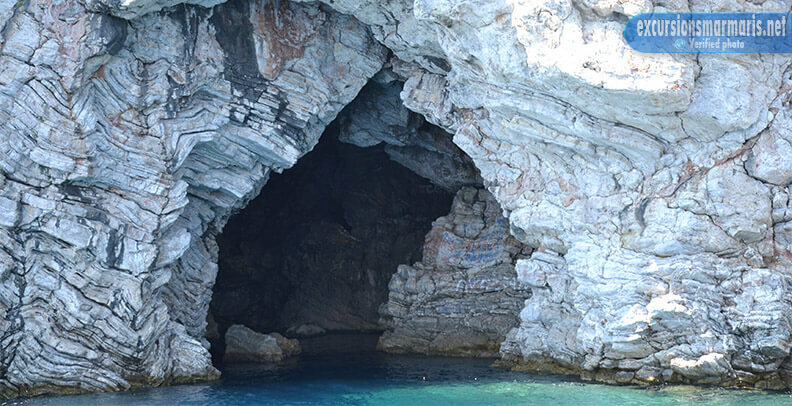 We visit virgin bays, mysterious caves, swim in the open sea, dive and snorkel, observe the beauty of picturesque Marmaris coastline. We guarantee that you will be nicely surprised to discover that Turkish nature is so colorful and diverse. The only thing we want you to bring – is your camera. 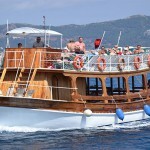 It would be a pity to miss an opportunity to take a photo of the scenery and your happy face in this voyage! 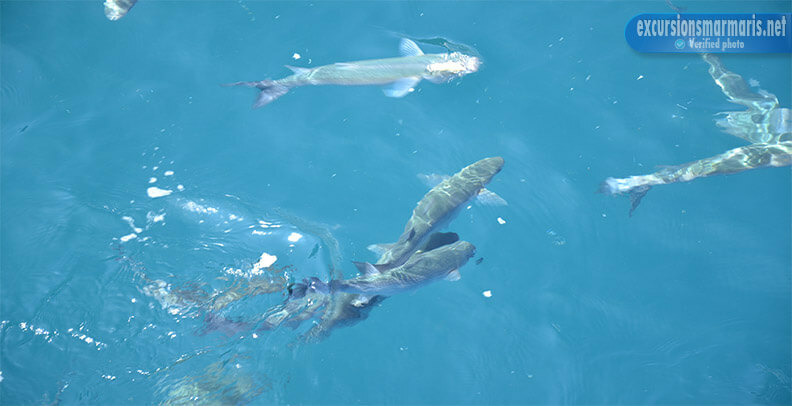 On board the boat we provide our clients with all the necessary equipment for diving or snorkeling. But if you don’t want to be active, there are sun beds, tents and chairs for you. If you travel with your children, we’ll be happy to entertain them! 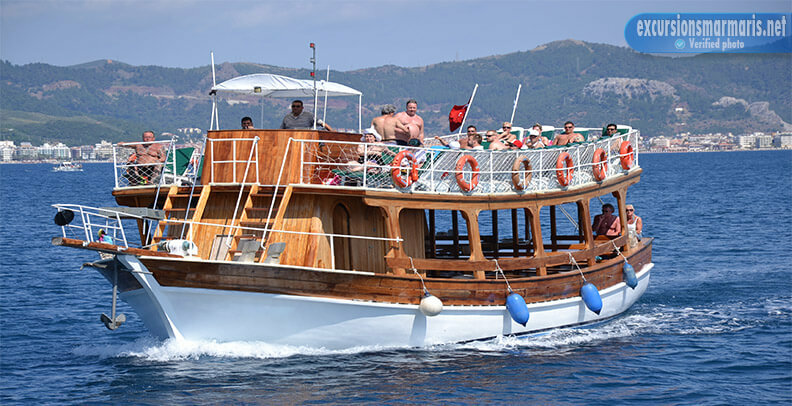 We have a lot of funny activities for them, such as board games, books, puzzles and riddles, etc..
We meet you at about 10.00 o’clock and then we go to the harbor. 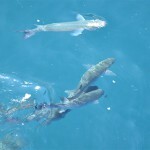 Then we start out journey in blue waters of the Mediterranean sea. 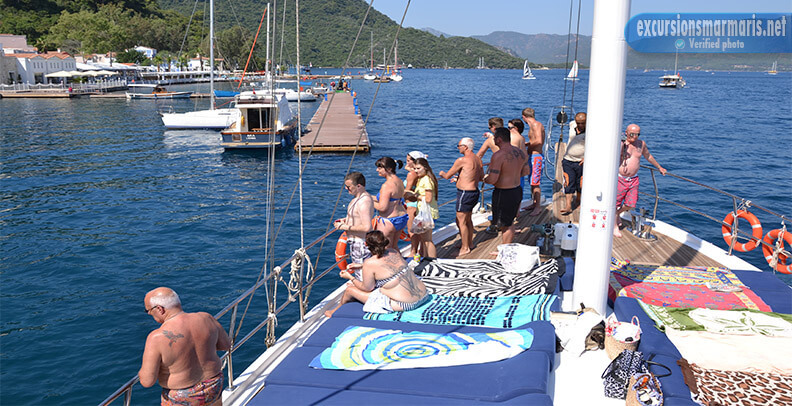 From the very beginning you can observe all the the beauty of Marmaris scenic spots. This beauty cannot be described using our words. 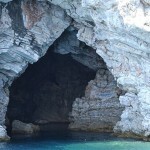 On our way we discover such spots as the village of Turunc, Paradise Island, Kumlubuk Beach a big amount of distant caves and bays. You can swim, dive, chat and have a lot of fun. Moreover, if you are hungry or thirsty we provide you with pizzas, salads, barbecue and drinks. The journey finishes at about 17.30 o’clock and we organize a transfer to your hotel. And you don’t have to pay for anything else! Welcome on board the boat!